Welcome to the CBS Renew/Cancel Watch. All in-season, scripted primetime shows airing on CBS in the 2017-18 season are included in the prediction table below. My current predictions are current as of October 14, 2017. The key to the right indicates the colors associated with each prediction. The data in the table includes current season lows, highs, and averages (Adults 18-49 demo), as well as the year-to-year changes for returning shows. The shows are ordered by their season averages against other scripted CBS shows. However you look at it, 9JKL is unimpressive. Young Sheldon debuted to monstrous ratings only a couple of weeks ago, and its replacement leaves a lot to be desired. After two weeks, the show has averaged a 1.45 rating in the A18-49 demo and dropped one tenth between episodes (1.5, 1.4). It's slightly promising that there wasn't much of a drop in week two, but these ratings are concerning for the weeks where it'll have to depend on Kevin Can Wait for a lead-in rather than The Big Bang Theory. I expect it to plummet without the post-Big Bang casual viewing. Being owned by CBS has to help it somewhat over the unowned Me, Myself & I, which is notably doing worse (though with far less help). CBS already has Young Sheldon as a comedy success story even after one episode, and they have Man with a Plan and By the Book waiting to air, which makes their "need" for another success story rather slim. The network did renew multiple first-season sitcoms last year, but that doesn't mean they need to apply the same strategy again this season. I'm giving it another few data points before I make the downward prediction, but it's certainly on the vulnerable end of the bubble after just two weeks. 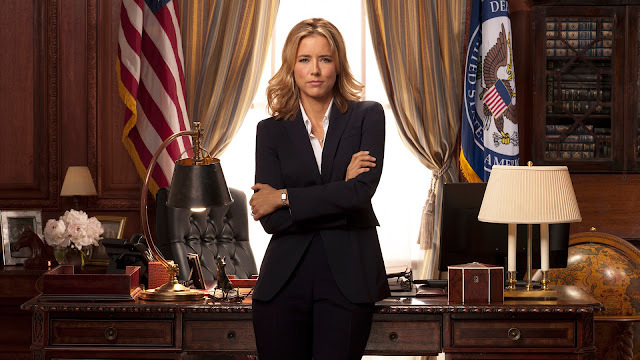 Madam Secretary Status: Certain to be Renewed The Secretary of State drama has been one of CBS's lowest-rated shows, and enters the index as the lowest-rated CBS show so far this season, but it is now comfortably in the league of Elementary with a hugely lucrative syndication package. The syndication masters at CBS were able to convince WeTV, Netflix, and station groups to buy into episodes of the series, bringing it to an estimated $2 million/episode syndication value. That's a million short of Elementary, which the network has allowed to suffer in linear ratings because it makes them so much money. This is the first deal to be made for its class as Scorpion and NCIS: New Orleans are yet to be sold into syndication. I have no reason to believe that CBS will not renew Madam Secretary for at least one more season with this kind of deal in ink. Me, Myself & I Status: Likely to be Canceled The three-timeline comedy is looking as weak as expected after three weeks on air. The typical downward spiral has brought it from a 1.6 debut rating down to a 0.9 for the most recent Monday airing. CBS can't be happy with it going fractional this soon, but they also couldn't have expected much from this scheduling. Kevin Can Wait is not a sound lead-in, and it's certainly not compatible with the experimental single-cam. As I mentioned above, CBS has Man with a Plan and By the Book waiting to air and they probably can't justify a full season of Me, Myself & I with the current ratings, especially if it continues to fall. The show just seems too off brand for CBS and is disadvantaged in its time slot. It's most likely a goner. NCIS: LA Status: Likely to be Renewed This show has continued to breathe some needed life into Sundays and hold up the middle of the night. It should be fine going forward. Wisdom of the Crowd Status: On the Bubble Expectations were slightly optimistic for the premiere of Wisdom of the Crowd, which sort of fizzled with a 1.3 debut rating. In week two, the billionaire tech, cop procedural dropped to a 1.0, nearing fractional territory. It held almost all of its lead-in (60 Minutes, 1.1) but it still looks fairly weak after just two episodes. CBS's other new drama, SEAL Team just received a full-season order of 22 episodes after three airings. Will Wisdom get the same treatment after this Sunday's third airing? A backorder of any size would help, as we have seen that CBS is willing to renew shows that don't air 22 episodes (Code Black). It's positioned firmly on the bubble and looks like a weaker candidate than SEAL Team at the moment. The addition of S.W.A.T. to the mix in November should further clarify the place of Wisdom in CBS's drama hierarchy moving forward. MacGyver Status: On the Bubble MacGyver had a surprisingly strong series premiere in 2016, grabbing a 1.7 in the demo. It dropped considerably after that, falling as low as a 0.8 for its season one finale. It returned a few weeks ago tie that series low and has matched it for three airings now (pending an adjustment for 10/13). It is certainly weaker than Hawaii Five-0 and Blue Bloods and it's only just beginning its second season, though the night overall has lower expectations and is known for its durability. Going forward, I think it has a higher position on the bubble, but it's not giving me enough confidence yet to predict that CBS will continue to invest in it for years to come. Hawaii Five-0 Status: Likely to be Renewed I've been cautious with the future prospects of Hawaii Five-0 since May, thinking a Friday drama is likely to end up ousted at the end of the season. I didn't think that it would be leaning towards MacGyver over the show that controversially lost two of its cast members over salary disputes and has a lead actor that has made questionable and discouraging remarks about leaving after eight seasons. Regardless of all that, the Hawaii-based cop drama has won each of the last two Friday nights with just a slight 8% drop year-to-year. It looks quite strong at the moment and could maybe survive more cast changes. I'm not extremely confident on the show's return, but I'm giving it credit at the moment and promoting it from the bubble. There's a lot of season left for this status to fluctuate, but it's clearly working hard for CBS.